MINNEAPOLIS: Caribou Coffee has selected Ruder Finn as its AOR following a competitive selection process. 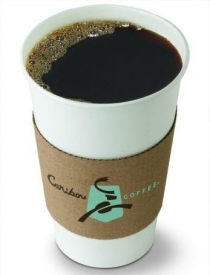 The final round of the search also included Padilla Speer Beardsley, and Ogilvy Chicago, said Sarah Townes, director of brand communications at Caribou. Five agencies were involved in the RFP process. Exponent PR, Caribou's PR AOR for the last two years, did not participate. Townes said Ruder Finn will help the company expand brand awareness as it grows in current markets and expands to new ones. “We really felt Ruder Finn had an in-depth understanding of our brand as well as our consumers, and ultimately we feel that they will be able to help us garner more national attention,” she explained. Ruder Finn will also help Caribou with social media insights and strategy, but the company will manage social media internally, Townes added. John McInerney, SVP of consumer marketing at Ruder Finn, said four staffers will initially work on the account covering both traditional PR and digital. Specifically, the agency will boost consumer knowledge of “the Caribou experience,” from its consumer packaged goods and food services to the brand's retail business, McInerney added. “We're hopeful we can bring both traditional PR and tactics in the social and digital space that are going to have a strong focus on elevating the awareness of the brand,” he said.